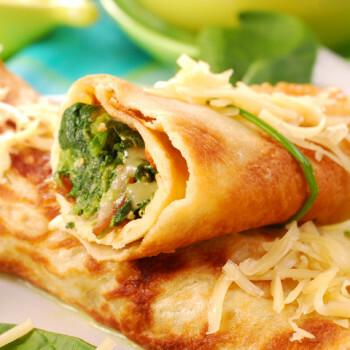 Crepes are not just for breakfast! This spring we are planning on making an edible garden as a family. I thought it would be different to introduce our girls to crepes as a dinner dish using our own, homegrown vegetables as a filling. This recipe is super easy, and one that your whole family can cook together! 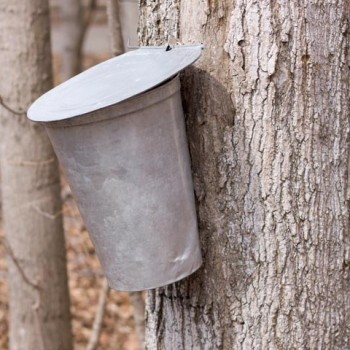 Looking for Fun Activities in Quinte this Family Day? 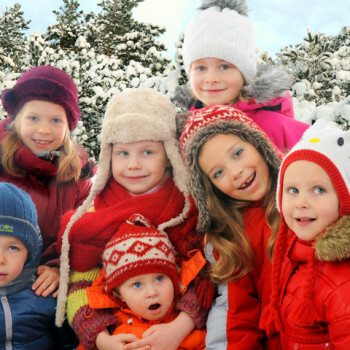 Nothing in the world could make human life happier than to greatly increase the number of strong families. Family Day celebrates the importance of families. Why not make this Family Day count? Here are a few activities, intended to strengthen the family bond, in the Quinte Area. If you are an expectant mom or the proud mommy of a bundle of joy, you won’t want to miss momstown’s mama and baby program ‘Baby Basics’ designed for expecting and moms with babies 0-12 months. 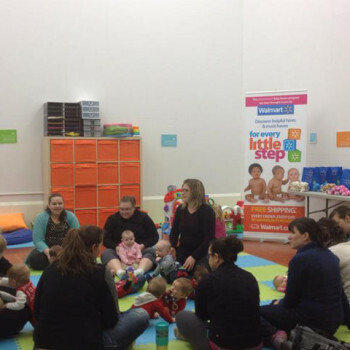 momstown is excited to have partnered with Walmart Canada for their Baby Essentials Session, as part of Walmart’s Every Little Step Campaign! Did you know that momstown provides its’ participants with powerful learning experiences? It is at momstown Belleville, and on our website, that parents can learn (and even try at home!) developmentally appropriate activities for their 0-6 year old child. 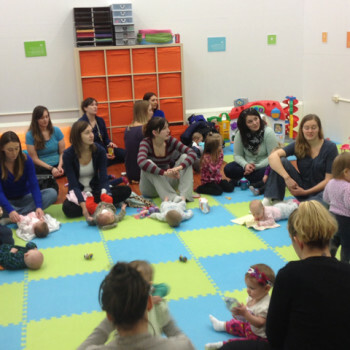 You see, momstown gives its’ Program Pass Holders a unique and exciting blend of early education and programming which is absolutely critical to their healthy development. If you read the early childhood news, you will know that “Hands-on science activities and investigations are essential components of any early childhood setting, and they help lay the foundation for life-long learning and healthy development.”(see link below). Here, at momstown, we take early childhood education seriously! 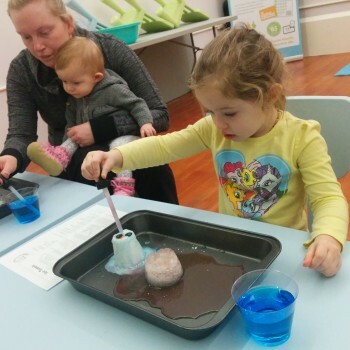 So, with that in mind, just take a look at what our families learned this week through our early childhood facilitators at momstown Belleville’s Little Scientist Program! Well, it’s that time of year again. You know, the one Canadian season that seems to stretch on forever, that can last from October to (sometimes even) May. Don’t despair! We’ve gathered some indoor play space information (and other indoor outings) that are perfect for a too cold and too wet day with the kids. They are also sure to wear them out both physically and mentally!!! 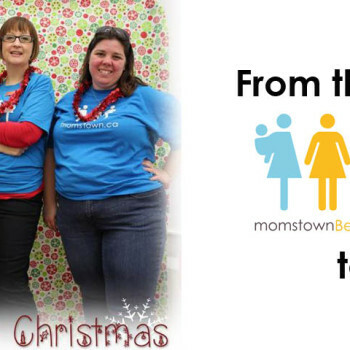 Momstown Belleville Hosts their 1st Annual Christmas Party! On December 5th, one of Santa’s little elves miraculously escaped from his busy little workshop to join eighteen eager families at momstown, Belleville’s very first annual Christmas party elfstravaganza!!!! Our Program Pass Holders celebrated the Christmas season with us, as we hosted crafts, read Christmas stories, had some circle-time fun, sang, all the while hearing the joyful laughter from our tiny ones! Our jolly fun, with our proud sponsors, is captured in the photos below (courtesy of our partner, Quinte Pediatrics, located in our shared space at 100 Station Street, Belleville). Wanting to escape the summer heat? 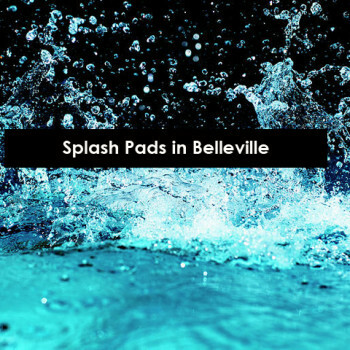 Visit Belleville’s splash pads! 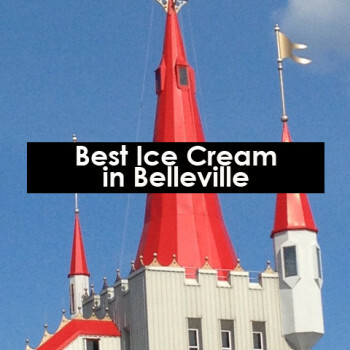 Looking for the best ice cream in Belleville? Make sure to visit Reid’s Dairy this summer!